As the world becomes smaller, clean water will become more scarce. Access to clean water is already becoming an issue to many of our customers. Reducing water usage, recycling water run-off, storing water and treating water will all be necessary in the near future. Poor water quality is responsible for higher labor, product shrink, chemical costs and missed ship dates. However, little expertise seems to exist to meet these challenges facing our industry. 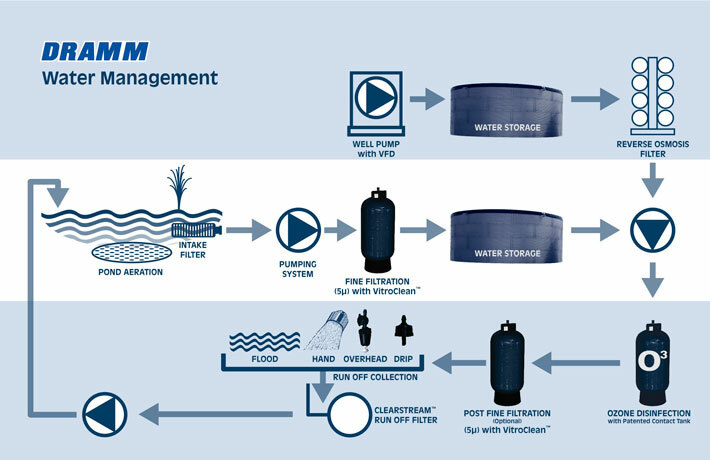 Recognizing these issues, Dramm has formed, DRAMMwater, to focus on providing solutions to the water management problems facing our industry. 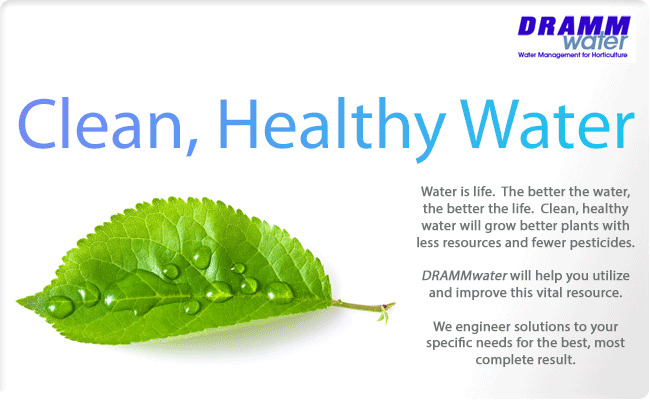 Working with our vendor partners and combining our expertise in irrigation systems and pest management with outside experience in engineering, systems design and water treatment, DRAMMwater is the first organization to focus on holistic water management in the horticultural industry. By combining various technologies and not promoting one over another, we can provide you with a total solution for your water treatment needs. To learn how we can help you fix your water, please contact us via email or by telephone at the numbers to the left. DRAMMwater systems are approved for EQIP Funding by the National Resources Conservation Service. For more information, visit the NRCS website.